Are You a Big Fan of Dinosaurs? 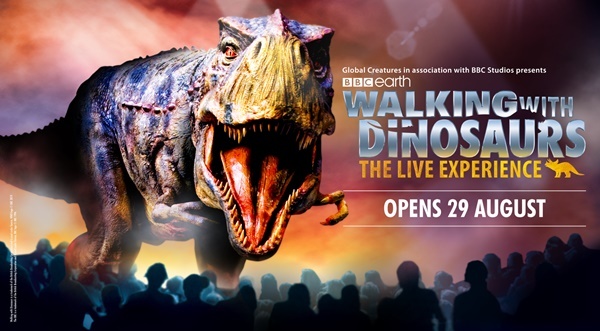 If you are, you shouldn’t miss the globally-acclaimed production Walking With Dinosaurs that is based on the award-winning BBC Television Series that is coming to Singapore! The show originated from Australia and went on to conquer the whole world with record-breaking audiences. This is a must-see area spectacular that is watched by more than 9 million people in more than 250 cities around the world. Be prepared to be captivated by 18-life size dinosaurs that will take over the Singapore Indoor Stadium from 29 August for a limited season! 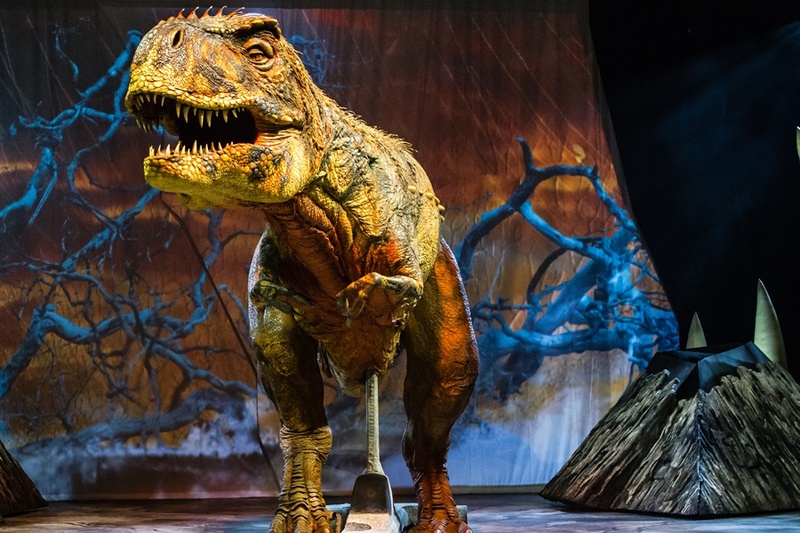 Audience can look forward to the updated production showcasing spectacular and colourful changes to the dinosaurs based on the latest scientific research including the likely feathering of some species. The one-hour, 40-minute show depicts the dinosaurs’ evolution with almost cinematic realism. Walking With Dinosaurs – The Live Experience has scenes of the interactions between dinosaurs, how carnivorous dinosaurs evolved to walk on two legs, and how the herbivores fended off their more agile predators. Nine species are represented from the entire 200-million-year reign of the dinosaurs. The show includes the Tyrannosaurus Rex, the terror of the ancient terrain, as well as the Plateosaurus and Liliensternus from the Triassic period, the Stegosaurus and Allosaurus from the Jurassic period and Torosaurus and Utahraptor from the Cretaceous period. The largest of them, the Brachiosaurus, is 11 meters tall and 17 meters from nose to tail. It took a team of 50 consisting of engineers, fabricators, skin makers, artists, painters and animatronic experts that took a year to build the production. 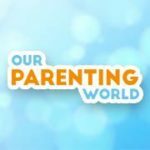 Walking With Dinosaurs – The Live Experience is produced by Global Creatures and Sliding Doors Entertainment in partnership with UnUsUal Entertainment are excited to bring this stunning show to Singapore! 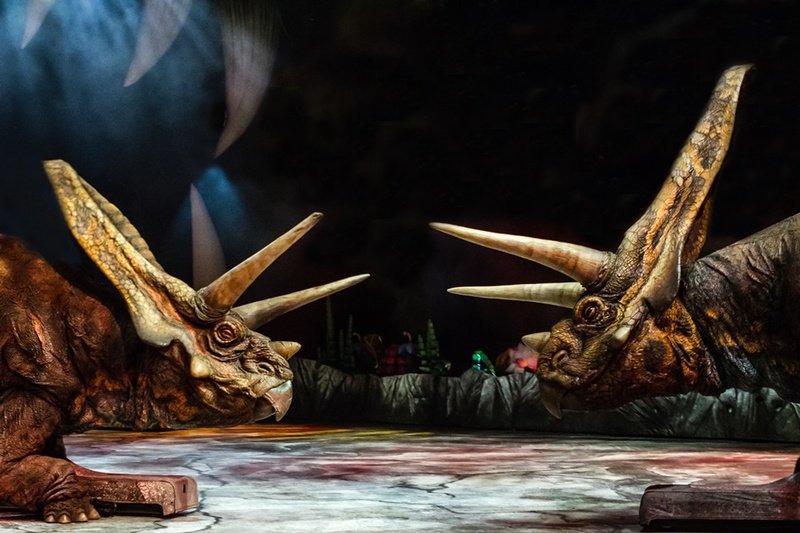 Dinosaurs have captivated audiences of all ages for generations and don’t miss this extraordinary live theatrical arena production that is coming to Singapore from 29 August onwards!